It is not unusual or abnormal to have worries in life about problems regarding family, employment, school and health to a reasonable degree but when worry crosses over the line and becomes obsessive and chronic, it becomes an anxiety disorder. GAD is the term for this type of anxiety but treatments are available for those who are diagnosed with it. 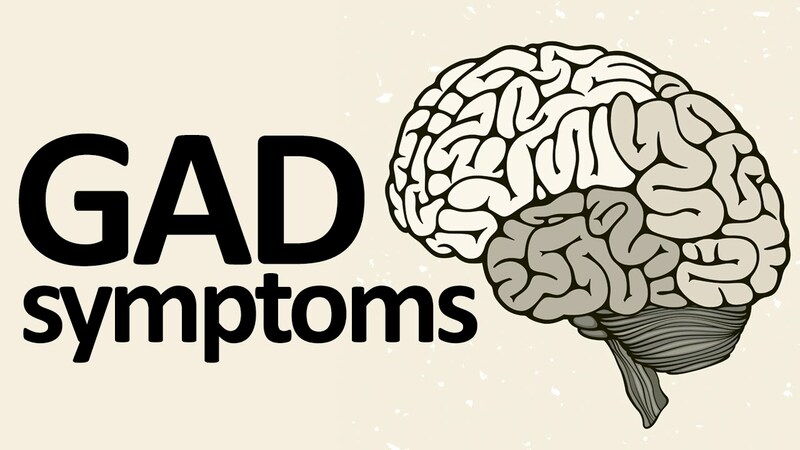 People, who experience GAD, will have chronic excessive worry for at least six months, to meet the diagnostic criteria as described by the U.S. National Institute of Mental Health. The worry will often keep them from getting proper rest and sleep, due to the continued troubling or racing thoughts that they find very difficult not to entertain and to ponder repeatedly in their minds. People with GAD often feel they are experiencing a nervous breakdown. GAD patients often worry about things such as contracting a terminal illness or that it might happen to one of their loved ones or that a tragic event will strike their family. They may also worry about losing their job or that their spouse will leave them when there is no rational reason for these concerns to occur. They may also obsess over the possibility of being a failure at their job or other pursuits in life that are important to them. They often feel on-edge and very apprehensive in these areas and this will often cause avoidance behaviors, meaning they resist attempting to succeed at new endeavors of self-improvement for fear of failure or disappointment. Patients with GAD often feel highly stressed (stressed-out) due to the many things they continually worry about. This can contribute to feelings of low mood and depression, which commonly co-exist with GAD. Panic attacks may also occur in some patients with this anxiety disorder, as can elements of Obsessive Compulsive Disorder (OCD). Another aspect of this anxiety disorder can be obsessive thoughts in the area of self-achievements. People with GAD may constantly feel they have not achieved enough success in life and as a result they will push their selves toward unreasonable goals, rather than allowing achievements to occur at a reasonable pace for them. This can create a vicious cycle of added stressors, followed by disappointments over not achieving the unreasonable goals they set for themselves. People with Gad may also multi-task to an unreasonable degree due to their worry that duties and obligations will mount and become overwhelming to them. They become obsessed with staying ahead of their tasks, to the point that they cause added stress and become sensitized to anxiety rather than achieving the stress-relief they are seeking. Some people who appear to be “work-a-holics”, may actually be suffering from GAD. Medications, including anti-anxiety drugs and anti-depressants are often prescribed to help reduce the symptoms of GAD. These may include selective serotonin reuptake inhibitors (SSRI-a type of anti-depressant) which, comes in brands such as Paxil, Prozac and Zoloft. Some patients may also be prescribed benzopines (anxiety drugs) that help to offer immediate relief of anxiety symptoms as-needed which comes in brands such as Xanax, Kolonopin, and Adavan. Psychiatric therapies such as Cognitive Behavioral Therapy (CBT) can also help a great deal in gaining patients coping skills or the ability to overcome their anxiety disorders completely over time. Some prescribed treatments may include a combination of therapy and anxiety-reducing medications.